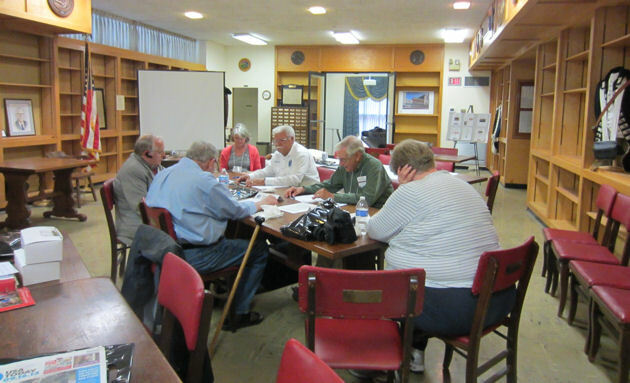 The Eighty Third Annual Reunion of the Reynolds Family Association was held at the National Headquarters of the Sons of the American Revolution, Louisville, Kentucky on September 16th, 2013. The day before the meeting the weather changed for the better and a finer day could not have been asked for as our members started to arrive from the various states, some as far away as New Mexico, Delaware, and the State of Washington. Those arriving prior to the appointed date met on Sunday afternoon in the Hospitality Room of the Hampton Inn for fellowship, saying hello to old friends from past reunions and meeting new friends that we look forward to seeing at future reunions. On Monday, after a tour of the Sons of the American Revolution Museum, the meeting was called to order and two guest speakers, Mr. Mel Arnold, past president of the Louisville Genealogy Society and Lynne Hollingsworth, Kentucky Historical Society gave informative and interesting speeches. On Tuesday as some members headed for home, others took advantage of the location by visiting the Sons of the American Revolution Library where they were met with a wealth of information in this most excellent library. 2013 Board Meeting - Sons of the American Revolution National Headquarters! Plans are already underway for next year's Reunion and we hope to see everyone there!